ommute of over 25 lakh people in Mumbai would also be hit. New Delhi: A two-day nationwide strike called by central trade unions against the alleged repressive policies for workers adopted by the Narendra Modi-led BJP government begun today. The trade unions will be joined by bank and insurance employees, public and unorganised sector employees along with port and dock workers. Following the strike, normal life across the country is expected to be crippled. Here’s the complete list of what will function today, tomorrow and what will not. School, Colleges: Schools and colleges in Dakshina Kannada district would remain shut. Udupi district administration also declared a holiday on Tuesday for schools and colleges. Mangalore University and all the colleges under it would remain closed for the day. Examinations postponed: The semester examinations of Bangalore University and Tumkur university have been postponed. The Rajiv Gandhi University of Health Sciences (RGUHS) has also extended the date of B.Pharma and D.Pharma courses examinations. Interstate Bus Services/Autorickshaws: Commuters in Bengaluru and Delhi are expected to face trouble as buses and autos will stay off roads. In Bengaluru, KSRTC, BMTC along with auto-rickshaws buses will not ply on both days. The daily commute of over 25 lakh people in Mumbai would also be hit as over 30,000 employees of the Brihanmumbai Electric Supply and Transport (BEST) joined the strike early in the morning. The umbrella organisation, BEST Sanyukta Kamgar Kriti Samiti, which includes all of BEST unions, is adamant on continuing the strike as no consensus was arrived at in the discussion between the joint-action committee of BEST unions and the BEST management on Monday. Banking Services: Banking services may get affected for the next two days as the All India Bank Employees’ Association and the Bank Employees’ Federation of India have joined the strike. State Bank of India: State Bank of India (SBI), the country’s largest bank with 85,000 branches, is likely to remain operational on the two days, along with a few other nationalised banks, the official said. “All the SBI branches will remain operational. 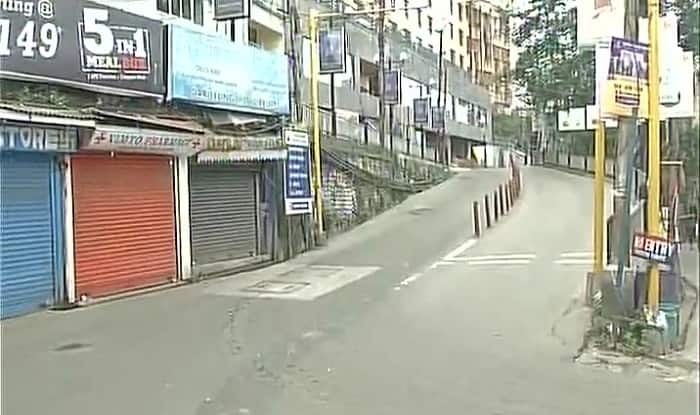 Out of nine union constituents, only two have called the strike and rest are not supporting it this time,” the United Forum of Bank Unions West Bengal Convener Siddhartha Khan told PTI. Emergency services: Hospitals, ambulance service, medical shops, milk booths will remain open. Hotels, malls and theatres: Hotels, malls and film theatres are likely to function as usual, with their unions extending “moral” support to the strike. Namma metro: Namma Metro, also known as Bengaluru Metro will function as usual on January 8, 9.